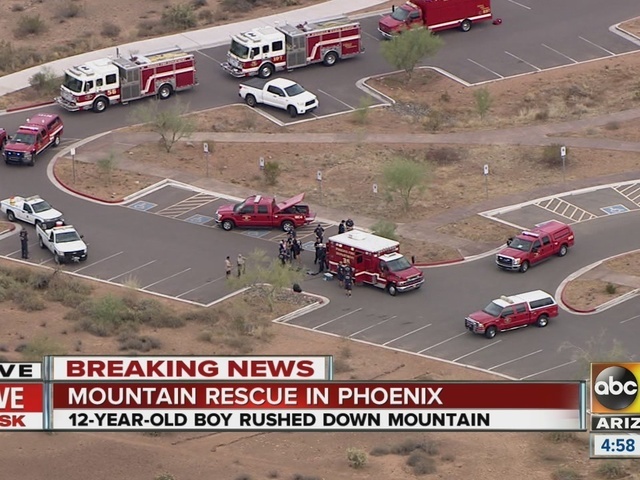 Phoenix police have identified the boy who died after being airlifted during a mountain rescue Friday afternoon. Firefighters and paramedics responded to the Sidewinder Trail near Dove Valley Road and North Valley Parkway for a report of a 12-year-old boy suffering symptoms of heat-related illness. 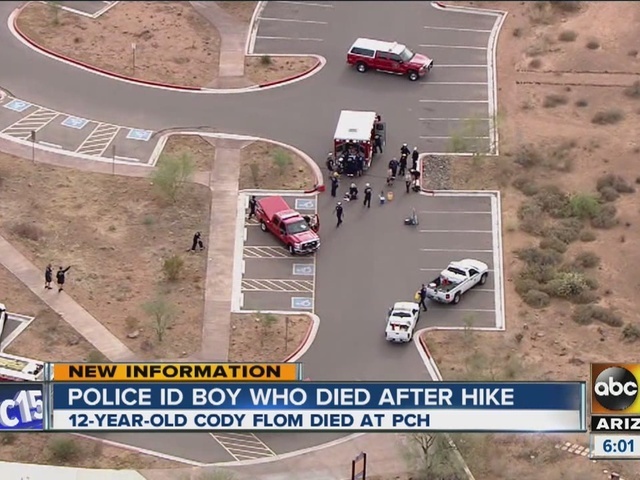 Captain Matt Wood with the Daisy Mountain Fire Department said the boy, later identified as Cody Flom, was hiking with an adult friend about three-quarters of a mile from the trailhead when the heat became too much for him. The adult tried to carry the boy back to the parking lot. The adult was unable to do so, and due to a cell phone error had to leave the boy on the trail and run back to the car to get help. 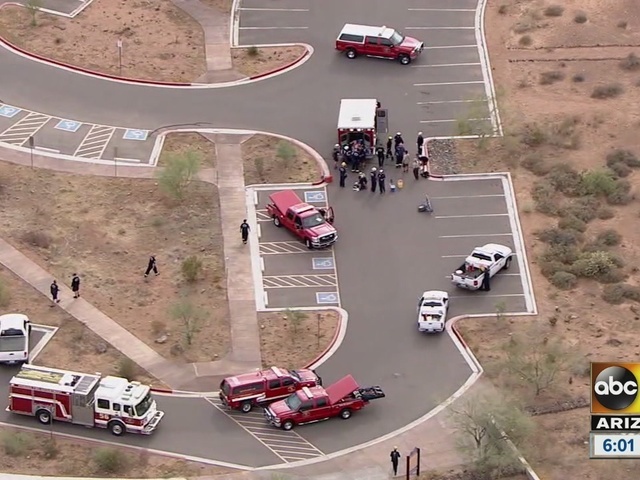 Video from Air15 showed crews bringing a patient down the trail and into an ambulance. A medical helicopter arrived on the scene a short time later and the patient was transferred. 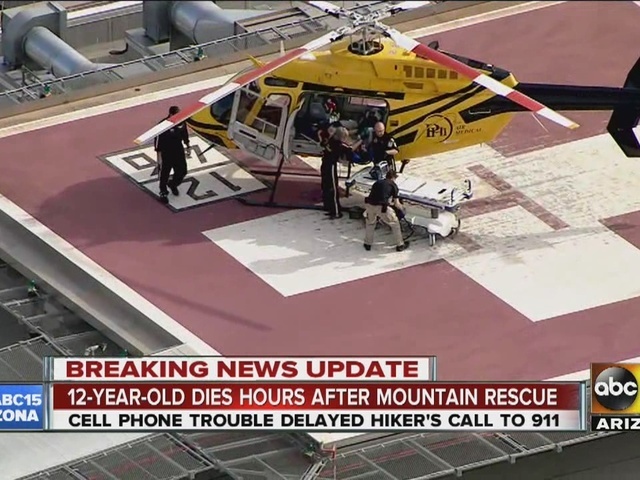 The helicopter took off and landed at Phoenix Children's Hospital. At the time, the boy was said to be in critical condition. Friday evening, Phoenix police said officers had launched a death investigation after the boy died at the hospital. Detectives responded to the trail as part of the investigation, police said. Police said both individuals had at least 2 liters of water on them.